This isn't the first time a driver has tried to fool the Washington State Patrol by driving with a mannequin. The “passenger” was dolled up, but that didn’t stop a driver from getting ticketed Friday morning for driving in the HOV lane, according to the Washington State Patrol. The driver was clocked at 81 mph in the HOV lane in the Tacoma area, according to a tweet by State Patrol Trooper Todd Bartolac. 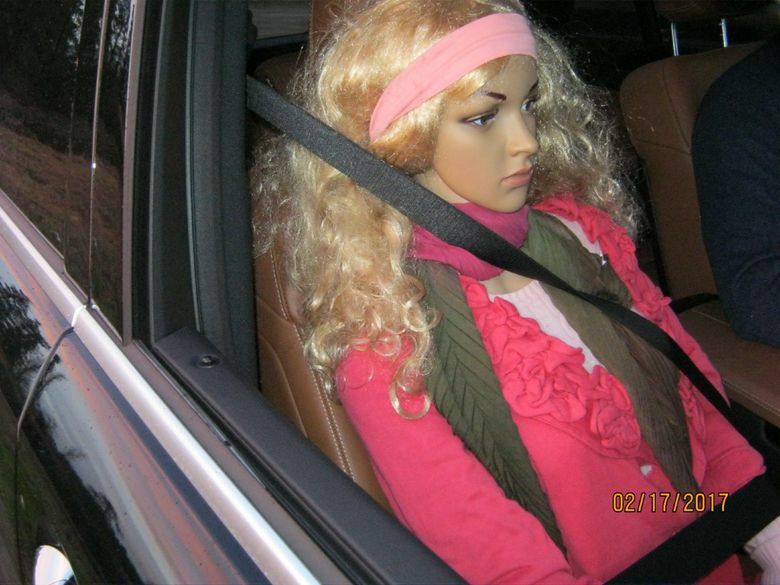 After a trooper pulled the driver over he discovered the passenger was actually a lifelike mannequin. “On the positive side they were both wearing their seat belts!” Bartolac tweeted. Apparently, there’s no shortage of dummies to be found on HOV lanes. Some are even seated next to the driver.